In the 1890s, Buffalo Bill’s Wild West successfully toured Germany and discovered that Germans held a long-standing fascination with the American West. On July 19 at 7 p.m. in its Coe Auditorium, the Buffalo Bill Center of the West and the Wyoming Humanities Council co-sponsor an evening lecture titled “The German Wild West: William F. Cody and Karl May.” The program examines the popularity of the American West in Germany. Scholars André Koehler and Julia Stetler present this intriguing transnational topic linking Germany and the United States through a shared fascination with the American West. Karl May as “Old Shatterhand,” 1896. May was a German novelist who wrote stories set in the American West. Photo courtesy Karl May Museum. Black Heart’s experience of seeing these artifacts reflected the extended German bond to the American West, which began in the early 1800s with German explorers in America such as Prince Maximilian of Wied. 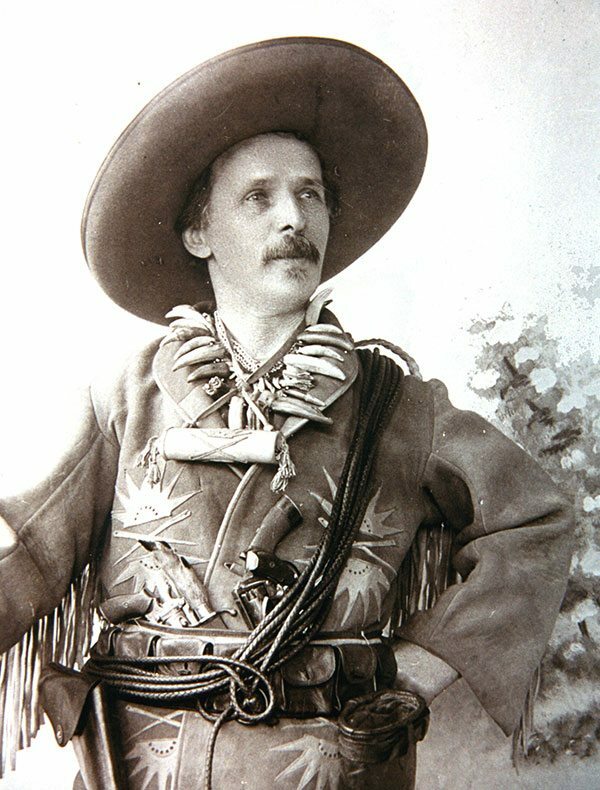 Along with the enormous success of Buffalo Bill’s Wild West in Germany, German writer Karl May further sealed the bond with the West in his spectacularly popular novels about a fictional Apache warrior Winnetou and his German immigrant blood-brother “Old Shatterhand.” Today Karl May’s work has sold more than 72 million copies in 22 different languages. Koehler is from the Karl May Museum in Dresden-Radebeul, Germany, and is a key scholar of the German impact of Karl May’s writings. Julia Stetler is an Associate Editor of the Papers of William F. Cody and recent PhD graduate from the University of Las Vegas. Stetler’s doctoral dissertation examined the impact of Buffalo Bill’s Wild West in Germany.